Have a background in coding but wish to learn more? Or maybe no background at all? 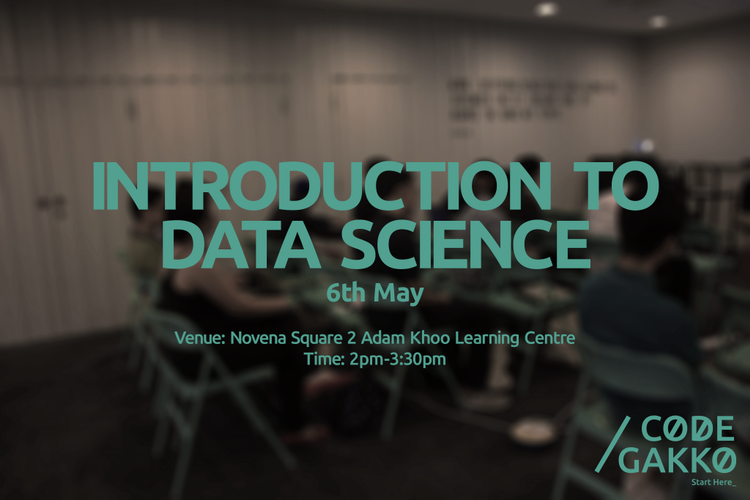 Here at CodeGakko, we'll be hosting a free introduction to data science. Basic concepts of Data Science such as regression and classification, data models, applications of data science, as well as a live demonstration using Python will be showcased. Bring your friends along and we look forward to seeing you there! Feel free to contact us for any enquiries at info@codegakko.com or you could check out our website.